Sausage made from lamb, humanely raised with no antibiotics or hormones. 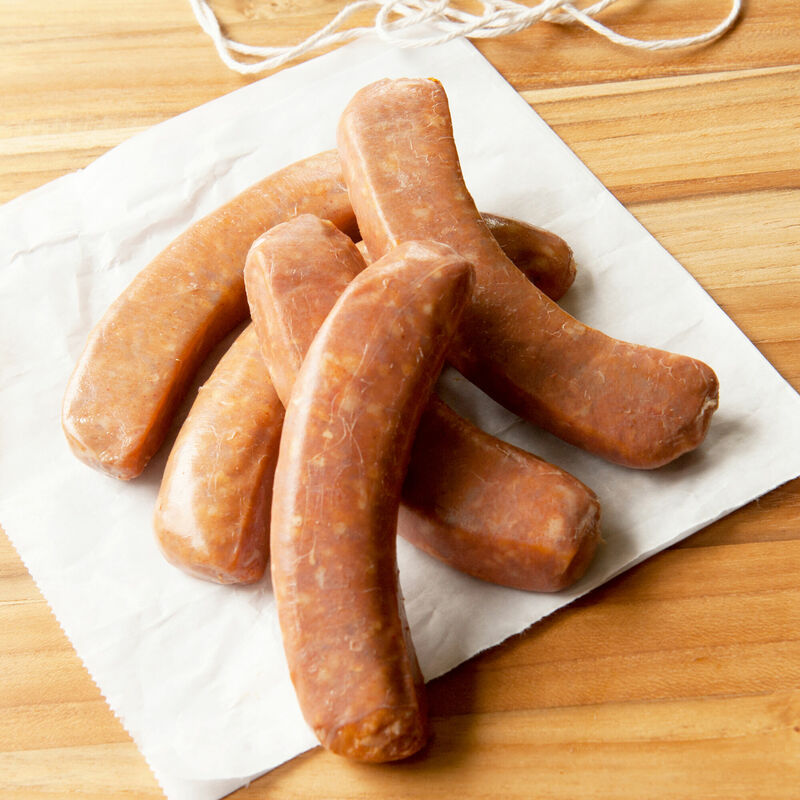 Our merguez sausage is pork free and made with 100% lamb in a sheep casing. Handmade with no nitrates, nitrites or artificial ingredients. This North African sausage is popular street food in France, where they are grilled, and served with mustard in a split baguette, much like a hot dog.